Temporomandibular joint (TMJ) disorder is a condition that causes jaw and facial pain. This joint is where your lower jaw and skull meet and is responsible for opening and closing your jaw. Normally the joint works like a hinge, with supportive tissues such as cartilage, muscles, ligaments and a small, gel-filled disk keeping your jaw smoothly moving. You can experience a TMJ disorder when your jaw joint wears down or after an injury, such as a blow to the face. TMJ disorders can be difficult to diagnose because they do not always have a definitive cause or similar symptoms. Common TMJ disorder causes include grinding your teeth, arthritis in your jaw, a hole in the disk of your TMJ joint, stress that causes you to clench your teeth or jaw dislocation where your jaw stops fitting together properly. If you don't have difficulty moving your jaw or it isn't making noise when you move it, your condition likely isn't a TMJ disorder, according to the Mayo Clinic. Conservative treatments will likely relieve jaw pain, such as applying ice packs to the sides of your face for no longer than 10 minutes at a time. You also can apply a warm towel or washcloth for five minutes to ease jaw muscle aches. Opting for easy-to-chew foods over tough foods also can help. This means reaching for mashed potatoes, yogurt, soups, scrambled eggs, beans and cooked fruits instead of tough meats or raw produce. If stress is a trigger for your jaw pain, try getting more sleep, exercising, breathing deeply or taking at least 15 minutes a day to do something you enjoy. Medication treatments include over-the-counter non-steroidal anti-inflammatory drugs or NSAIDs, such as ibuprofen. If these do not help, muscle relaxants can temporarily relieve pain or sedatives such as clonazepam reduce sleep-related teeth clenching. However, your dentist or physician must prescribe these medications. Additional treatments that require a dentist's intervention include repairing damaged or missing areas of your teeth. Examples include crowns, bridges or braces that can reduce jaw pressure. Mouth guards or splints worn over your teeth can keep your mouth slightly open, reducing nighttime grinding or clenching. While you can purchase a sports mouth guard and mold it yourself at home, dentists often make custom mouthpieces that may provide a longer-lasting and better-fitting solution. 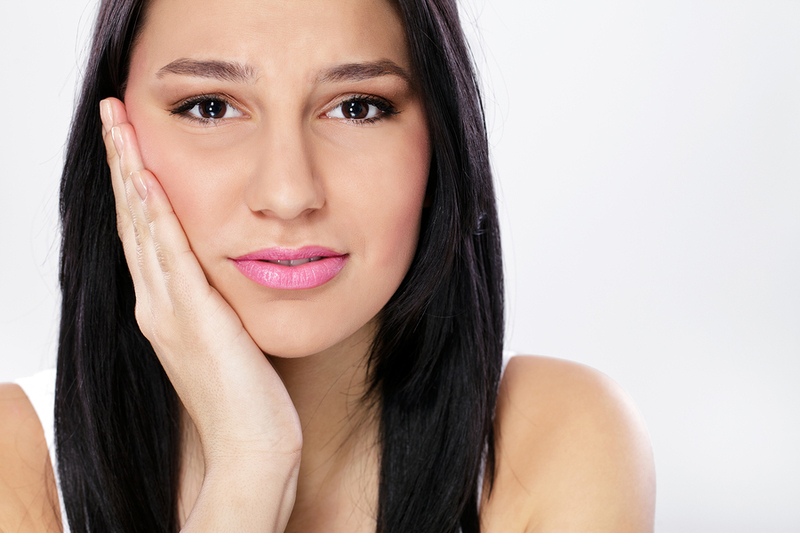 In severe instances, your TMJ disorder may require more invasive interventions. The surgical approach depends upon what is causing your TMJ disorder. Arthroscopic surgery is an option where your surgeon makes a small incision and inserts a thin, lighted instrument with a camera on the end. Additional instruments can be inserted to remove damaged areas. The most invasive surgical form is open-joint surgery where your surgeon makes a larger incision to visualize the entire jaw area. Always seek a second medical opinion before undergoing surgery. For more information on TMJ call Solaris Dentistry at our Chandler, AZ office at (480) 802-6617 today!